The continental tournament is starting from January 5 in the UAE and will be held till February 2. With Sunil Chhetri at the helm, Bhutia was asked about India's chances in the tournament. Former captain Bhaichung Bhutia says India have a 50-50 chance of making it to the second round of the upcoming AFC Asian Cup. The continental tournament is starting from January 5 in the UAE and will be held till February 2. With Sunil Chhetri at the helm, Bhutia was asked about India’s chances in the tournament. “I feel it’s a good group to be in — with Thailand, UAE and Bahrain. I think we have a 50-50 chance of making it to the second round,” the 42-year-old Bhutia said. “It will all depend on the hard work the boys put in, and a little bit of luck. I urge the team to give their all, and leave no stone unturned. They should enjoy the atmosphere of being part of such a big tournament,” he was quoted as saying by the All India Football Federation’s official website. The Sikkimese Sniper, as he is fondly called for his exploits upfront in his heydays, is “lucky and privileged” to have played alongside both IM Vijayan and Chhetri. “I feel lucky and privileged to have played with both. When I made my debut, Vijayan was a senior player and I was very happy to play under his guidance, combine with him on the pitch, and get his support. “When Sunil came in, he was the younger one. 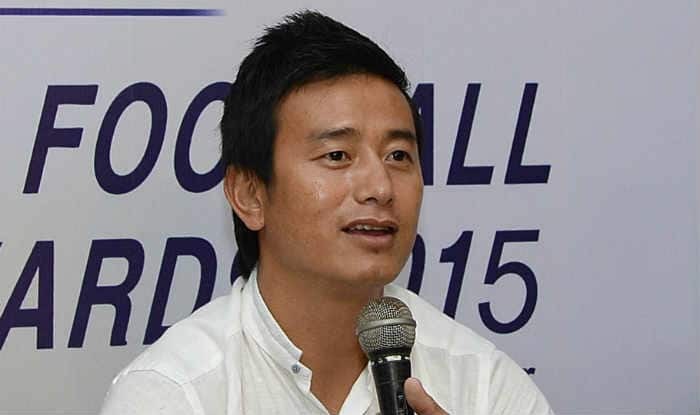 We had a great understanding and a healthy competition amongst ourselves,” Bhutia said. Eight years ago, he didn’t have a great time in the main tournament though, staying out of action for a major part due to an injury. “It was wonderful (qualifying) — not the greatest one since I was unfit and could only play some minutes in our last game. Overall, it was an incredible experience competing against the best teams in Asia, and it is the level that we need to be on a regular basis,” he said. “I have no regrets and I’m just happy that we qualified after a long gap of 27 years. It was just bad luck that I couldn’t take as much part as I wanted to.” Asked about the significance of the Asian Cup, Bhutia said, “It’s obviously great that you get to share space and hotels with some of the greatest players in Asia and world football.